Founded in 2012, headquartered in Palo Alto, CA. Upstart is an online peer-to-peer personal loan lending platform. Financing offered in 50 states. Upstart is an online peer-to-peer lending platform founded by ex-Google employees in April 2012, headquartered in Palo Alto, California, United States. Upstart provides access to fixed rate personal loans with a new approach, the past traditional underwriting models which focused on credit scores and debt to income ratio to determine the creditworthiness of an applicant, are substituted with new innovative methods. Instead of focusing solely on credit history and credit score, they even look at nontraditional factors, like educational background, grades, and earning potential to estimate creditworthiness. Upstart is one of the leading marketplaces through which online lending is facilitated. It provides the means of obtaining a personal loan via the consideration of some variables which are not the regular traditional ones, education, and employment for instance, which are then used to expertly predict the loan worthiness or simply put the creditworthiness of the borrower. Upstart has solid backing from firms like Google Ventures, KPCB, Khosla Ventures, Founders Fund, First Round Capital, Eric Schmidt, and Mark Cuban. 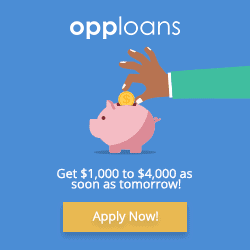 Through its partnership with banks, Upstart can provide access to a personal loan in the range of $1,000 to $50,000, and can be obtained in a business day time after approval. Based on the recent trend in the technological advancement, more precisely artificial intelligence and machine learning, upstart has been able to develop an income and default prediction model employed in the determination of prospective customer’s credit reliability. 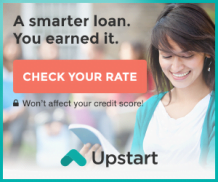 Upstart considers factors like academic variables and work history of the individual, in addition to the traditional criteria like FICO score, income, and credit report, to fully develop a statistical model of the potential borrower’s financial strength and propensity to repay loans. Must be a U.S. citizen and currently residing in the U.S., or a permanent resident and presently living in the United States. Must have a valid email account and social security number. Must have a full-time job, a full-time job offer commencing in 6 months, a regular part-time job or another source of steady income. Must have an active personal banking account and should meet the minimum credit requirements. The range of funds available for borrowing is between $1,000 and $50,000 with an APR varying from 7.46% to 35.99%* and origination fee ranging from 0% to 8% on the amount obtained. There is no change in the interest rates as they are fixed all through the life of the loan neither does the monthly repayment amount change. There are two repayment plans available in the form of three years or five years; also there is no prepayment penalty if you wish to pay off your loan early. The timeframe to receive the loan proceeds after approval is next business day for at least 99% of borrowers if all steps are completed before 5 pm ET on a business day. Qualification for the loan can be accomplished with a minimum credit score of 620, in addition to the credit score, other factors such as employment, income, and educational history is also considered by Upstart. Applying for a personal loan through Upstart is a reasonably straightforward process. The first step is to check and determine the best rate available for you, by answering a few basic questions like your Name, purpose of the loan, profession, education, date of birth, residence address current employment status, and the company you work for. This step is simple and will help you to decide whether you would like to proceed with the actual application based on the loan offer you receive. This step will not impact your credit score, as Upstart will perform a soft inquiry on your credit which does not lower your credit score. Once all necessary details are entered into the online form, factors such as your education, credit score, work experience, and credit history will then be used to determine and calculate the required rate and to provide you a loan offer. Now, once the loan offer is agreed, submission of the actual application is the next step. You will be asked to provide personal information such as your social security number, driver’s license, employers details, and other relevant information. It is at this particular stage that a thorough verification of the accuracy of the financial information provided is done via a hard inquiry. Upstart also verifies the academic background and employment information provided in the application. Upon completing the review and verification process, you will be notified whether the application is approved or declined. If approved, you can review the repayment term, amount approved, interest rate, and monthly repayment amount and accept or reject the loan depending on your requirements. Upstart uses a unique predictive model to determine the creditworthiness of an applicant by using artificial intelligence and machine learning to streamline the entire loan process. Upstart makes use of modern data science and takes into account factors such as education, SAT scores, GPA, the field of study, work history and earning potential to predict if the applicant is creditworthy. This unique model benefits borrowers who have been disqualified by some other platforms due to lack of credit history, as Upstart considers other factors beyond credit history and this feature puts the company in the front seat among all similar credit companies. Upstart does not scrutinize the purpose for which a fund requested is intended. The reason for taking the loan may be due to credit card payoffs, medical bills, tuition fees, repayment of student loans and even if you need to start up or expand a business. Upstart provides access to personal loans with a fixed rate. However, the individual rate an applicant will be offered is determined on his education, work experience, credit history, and income. To understand the total cost of the loan, it is essential to consider the APR on loan. Which is the annual percentage rate, this includes the rate of interest and all sorts of other associated fees. The speed at which Upstart fund loans is super fast if the application is approved and accepted before 5 pm ET Monday-Friday, you should get funded by the next business day and after 5 pm ET Monday-Friday, you should get your loan amount two business days later. For loans that are used for educational purposes, have an additional three business day waiting period. Also, the flexibility in the amount that can be borrowed makes it the top choice for borrowers. People opt for Upstart because of its minimum loan amount which is $1000 that is way below many competitors. Hence, borrowers in need of small amounts easily find their way to Upstart loan. Note:- Some states have state-specific minimum loan amounts. With the Upstart online dashboard, you can change and monitor your payment schedules, and at the same time, you can use it to alter scheduled payment dates, recurring payment amounts and also cancel any scheduled payment when necessary with no stress. Through the Upstart dashboard, you can make additional one-time payments with no extra charge. However, this arrangement will not change your scheduled monthly payments. Also, there is no extra fee to make extra manual payments to pay down the loan. Upstart allows borrowers to select their payment preference; if you get paid twice a month by using this feature, you can easily schedule bi-monthly automatic recurring payments, on meeting specific requirements. Safety 128 bit secure sockets layer. COMODO CA Limited. 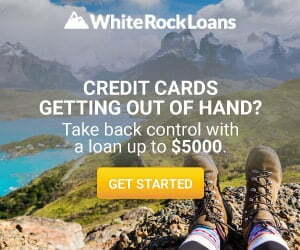 Loan Amount $3000 to $35000.